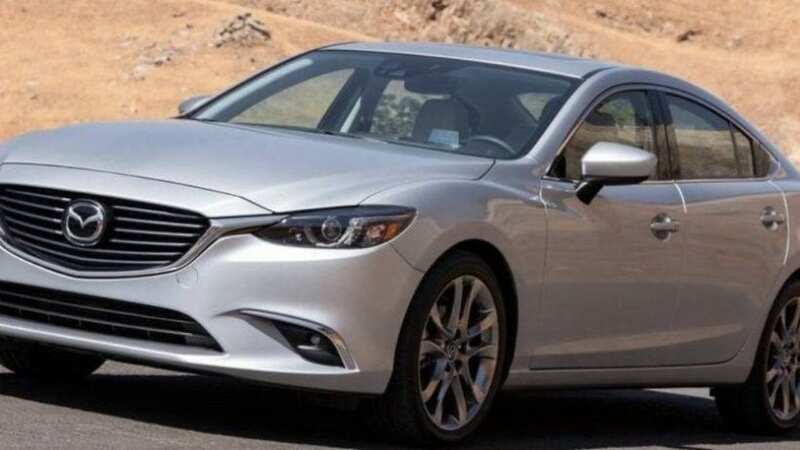 The current generation of Mazda 6 debuted in 2012, and it really turned the page completely. From decent but plain offer it became one of the constant top picks in the segment and here are ten things worth of knowing about it. The previous generation of this model was pure Mazda of before. Elegant yes, boring? Certainly. Well, the introduction of Kodo design philosophy changed that completely. It was supposed to depict “Soul of Motion” and sophisticated, elegant lines infused with passion proved that right. For the first time, you could reach for one Mazda, based just on its looks. Skyactiv technology is an approach to improving almost everything that exists in the car, from chassis and body to engines and gearboxes. Results were reduced emissions, less weight, improved fuel efficiency, more powerful engines, all making Mazda highly competitive on the market from the mechanical point of view. Last year Japanese carmaker introduced torque vectoring system to the 3 and 6 models, named G-Vectoring Control or GVC in short. Car behavior is monitored and when needed engine torque to the individual wheel can be reduced resulting in the transfer of more load to the front axle and thus improving steering response. Highly enjoyable road manners are the result of fine chassis tuning touched by Skyactiv wonders, while GVC adds additional flavor to it. Further to that, nicely damped suspension, communicative and properly weighted steering, make the 6 model leader of the pack as far as twisty back roads go, which was something new for it. It’s not just good chassis, decent engine, sporty suspension and GVC telling you it’s all about the driver in the 6. Count also on the offer of manual shifter, which is something, you’ll agree not so common in the US. Plus body of the stick is short as well as its travel, making changes swift and highly enjoyable. If you are not impressed, you can still go with properly tuned 6-speed automatic and save yourself from work while adding a couple of more mpg to the mix. As as far as US market goes, Mazda 6 can only propel itself with 2.5-liter naturally aspirated I4. If you weren’t in search of V6 powered mid-sized sedan, that wouldn’t bother you at all. Mentioned unit delivers 184 hp and 185 lb-ft of torque which doesn’t sound much, but guess what? It is enough for best acceleration time in the segment when base engine offer is concerned. It takes 7.3 seconds to 60 mph, though if you prefer the area around and below 6 seconds, V6 under rivaling hoods is inevitable. Mazda openly declared that it has premium aspirations and interior happenings are here to prove that right. It never had big problems with panel fittings before, but current work puts it highly above expected in non-luxury segment. Nice materials, solid-rock fittings, and attention to details were something previously delivered only by VW products as far as nonpremium badges go. Well now, as far as fit and finish are concerned, count Mazda in. MZD Connect infotainment system uses the 7-inch sized screen. The whole layout is obviously influenced by German MMI or iDrive, which are among industries best, so we surely don’t mind. The system is intuitive, fast and visually appealing, and despite control by the knob on the lower console it is also touch sensitive, going differently there from the majority of mentioned German offer. Recent minor refresh brought full-color TFT screen sitting in the right gauge cluster segment as further part of digitalisation, while biggest flaw of everything remains lack of Apple CarPlay and Android Auto. At first, the Japanese brand has planned to offer 6 model with 2.2-liter turbocharged I4 diesel on the US market. Same diesel is offered in Europe, but US thing got complicated. At first, engineers worked hard to try to eliminate the use of urea in order to keep costs lower, while trying to satisfy emissions standards at the same time. It just didn’t work out as planned and after many delays, Dieselgate happened, and Mazda just dropped the case, leaving 6 model with only one engine option. But, don’t let that bother you much as 26 mpg city and 38 mpg highway from petrol offer rocks the top chart in the segment with its efficiency if we put hybrids aside. While you indulge yourself on the twisty road, if you take it out of line, do know that you are fairly protected. IIHS gave it Good rating overall in crash testing and Top Safety Pick+. Later is due to the i-Activesense safety technology which includes a bunch of helping features, as adaptive cruise control with automated braking and pedestrian detection, blind spot monitoring, rear cross traffic alert, traffic sign recognition, adaptive headlights, lane departure warning with the assist and more.